Part 5 in a multi-part series looking at the basics of avoiding litigation as a health care provider. Read Part 1 Here, Part 2 Here, Part 3 Here, and Part 4 Here. Ouch! What an indictment of nursing and, by extension, the facility in which the nurse works. We have a lot to thank Florence Nightingale for—a brilliant woman considered to be the founder of nursing and nursing standards and the first to ever put statistics to health care, among other valuable contributions. But if the health department is coming to a facility near you or a lawyer is scrutinizing your facility with a lawsuit, make sure Florence has the day off because with a statement like that we don't stand a chance to prevail. Florence or not, over the years all pressure ulcers were generally considered avoidable. If a patient developed a pressure ulcer in our facility it was time to throw on the sackcloth and the ashes; we own "this one" and are liable for its development. Fortunately, we have now come to realize that pressure ulcers can and do occur despite best treatment and prevention measures and may be unavoidable. Official recognition of this was a huge gift to defense attorneys and more importantly to the facilities they represent. The first government recognition of unavoidability occurred in 2004 with the publication by the Centers for Medicare & Medicaid Services of F-Tag 314, titled "Pressure Sores. "2 F-Tags are federal regulations for nursing homes and represent guidance for surveyors of long-term care. In F-Tag 314, facilities are required to "evaluate an individual's clinical condition and pressure ulcer risk factors; define and implement interventions consistent with resident needs, resident goals, and professional standards of practice; monitor and evaluate the impact of the interventions; and revise the interventions as appropriate." If a resident develops a pressure ulcer and the facility has performed (and documented!) all these, the ulcer was determined to be unavoidable. The purpose of this document was to "lend support to the theory that some pressure ulcers are unavoidable. "3 This document contains "Supportive Statements" related to unavoidability that include risks and comorbidities, medical device-related pressure ulcers, end-of-life changes, prevention strategies, role of documentation, quality improvement programs, and education. It concludes with recommendations for needed research related to this topic. The NPUAP has published numerous documents related to unavoidability. In 2014 it published an article detailing the results of a consensus panel related to unavoidable pressure injuries and coming to consensus that "unavoidable pressure ulcers do occur. "4 This article details the multiple risk factors, intrinsic and extrinsic, for unavoidable pressure ulcer development. These will be detailed and discussed in a future blog. The skin is the body's largest organ and like any other organ is subject to a loss of integrity. Our current comprehension of skin changes that can occur at life's end is limited. The SCALE process is insidious and difficult to determine prospectively. Additional research and expert consensus are necessary. And, contrary to popular myth, not all pressure ulcers are avoidable. What About the Kennedy Terminal Ulcer? Nurse Nightingale was dealing with an entirely different set of patients. People did not live the long lives we do (average life expectancy was around 50 at that time) and were not prone to the risk factors we acknowledge today. So, if her patients developed a "bed sore," it may well have been due to a lack of proper nursing care. In conclusion, there is lots of evidence for and expert opinion about unavoidable pressure ulcers and the fact that they indeed occur. Up next, I will detail the risk factors. 1. Nightingale F. "Notes on Nursing: What It Is and What It Is Not." (originally published in 1859; still available from multiple publishers). 2. Centers for Medicare & Medicaid Services (CMS). F-Tag 315 and F-Tag 686. 2004. www.cms.gov . Accessed January 30, 2019. 3. Wound, Ostomy and Continence Nurses Society. WOCN Society Position Paper: Avoidable Versus Unavoidable Pressure Ulcers (Injuries). Mt. Laurel, NJ: Wound, Ostomy and Continence Nurses Society; 2017. 4. Edsberg LE, Langemo D, Baharestani MM, Posthauer ME, Goldberg M. Unavoidable pressure injury: state of the science and consensus outcomes. J Wound Ostomy Continence Nurs. 2014;41(4):313–334. 5. Sibbald RG, et al. Skin Changes at Life's End (SCALE): final consensus statement. European Pressure Ulcer Advisory Panel. http://www.epuap.org/wp-content/uploads/2012/07/SCALE-Final-Version-2009. October 1, 2009. 6. Schank JE. Kennedy terminal ulcer: the "ah-ha" moment and diagnosis. Ostomy Wound Manage. 2009;55(9):40–44. 7. Kennedy KL. 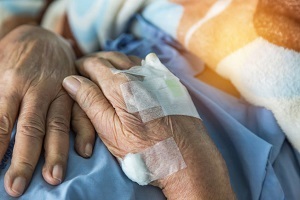 The prevalence of pressure ulcers in an intermediate care facility. Decubitus. 1989;2(2):44–45.